The Gambler That Was Larger Than Life! We know the house always wins, right? The reason they always win is that there is an advantage for them built into any game you play. But more than that, they simply have a bigger bankroll and can weather any storm or winning streak you might throw at them. But wait… do you know what puts the fear of God into any casino executive… it’s a ‘Whale’! We talk about whales and high rollers but really there are only a few true whales out there that can shake the timbers and threaten to bring the house down like no other. One of those was the late great Kerry Packer from Australia. Now that’s not going to put the house in jeopardy but it’s reported that Kerry Packer would play in the $500 to $1,000 per hand range until he was winning then up his bets to as much as $300,000 a hand in Baccarat. He was also fond of Blackjack and wasn’t shy about betting millions then quitting while he was ahead. Some called him “Hit and Run Packer“. One New Years Eve in the mid-nineties he shook up the Las Vegas Hilton by winning over nine million dollars at $150,000 per hand. The casino missed its profit projection and no one got bonuses, it’s even said some heads rolled. But that night he tipped the dealers over a million dollars and tipped a lounge singer $100,000. It was his money and he’d damn well do as he pleased with it. That included yearly charitable contributions that paled his occasional casino losses, like the millions Kerry Packer donated to a children’s hospital. It’s said, though neither the casino nor Kerry Packer would confirm or deny it, that Aspinalls closed its doors in May 1990 due to one of his winning streaks with monster sized wagers. Stories vary in the media about his crushing session at the MGM in 1995. But the high and low end of it confirm that between seven and twenty hands he brought down at least twenty million dollars and at most twenty six million. What about online gambling? We don’t really have a way to know what goes on because the real high rollers don’t normally post winning screenshots and they don’t make a splash when they come into the casino. If you are a ‘casino whale’ you probably already know how to get the most out of your experience. If you’re a high roller of a lesser magnitude we might have some suggestions for you. You’re not going to get a car or a suite or a spa treatment, and the casinos can’t introduce you to someone for a dinner date and companionship, at least that we know of. But some will send you chocolates and brandy or scotch and show tickets… but it’s just not the same. To get your full value as a high roller it’s really necessary to do some legwork an research and make certain you are playing at a quality online casino property that will not only pay your winnings in a timely manner but will actually be there for you when you have a losing session or two. If you’re a true ‘whale or high roller’, we suggest that before depositing you contact customer service or the manager and let them know you plan to give them some serious coin. Ask them to consider back-dating your VIP status to your first deposit after you have shown them you are a serious player. Ask what their very best VIP tier is and then negotiate for better comps, better rebates, and better bonuses. You can also request table limits be raised for your account at some casinos. But be aware of some property’s maximum weekly and monthly payout limits. Some casinos do not have limits and others may waive them for special VIP players such as yourself. We can’t caution too much to always play within your means. Gambling can be an astounding thrill even in the comfort of your own home, but playing outside of your comfort zone can make for a less than good time. Regardless of your betting style please drop us a line or leave us a comment below anytime if you want personal recommendations for your particular situation. We’ll be able to introduce you to a casino that is just the right fit for you. Kerry Packer was a mega whale and a gambling legend in his own time and even though he gambled such vast amounts, he did manage to keep his gambling under control and within his own predetermined budget. Although his budget was larger than any other known gambler at the time. 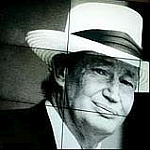 As most of us gamblers know, there is never any limit as to how much we can win or lose while gambling and one of the single most impressive attributes of Kerry Packer was the fact that he was a gambler his entire life but he still managed to leave a vast fortune to his family upon his death. Packer never let gambling control or destroy his life as so many before and after him have. Always remember to gamble with your head and not with your emotions! "I'll flip ya for it"
"I only gambled what I could afford to lose"